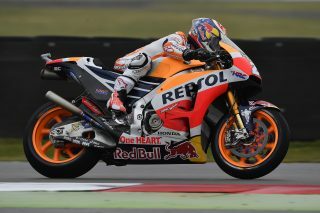 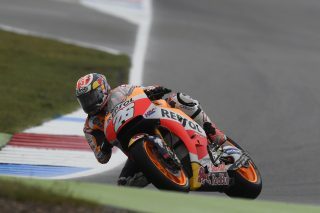 Qualifying day at the Dutch TT dawned wet as expected, with all of the day’s sessions affected by rain to greater or lesser extents. 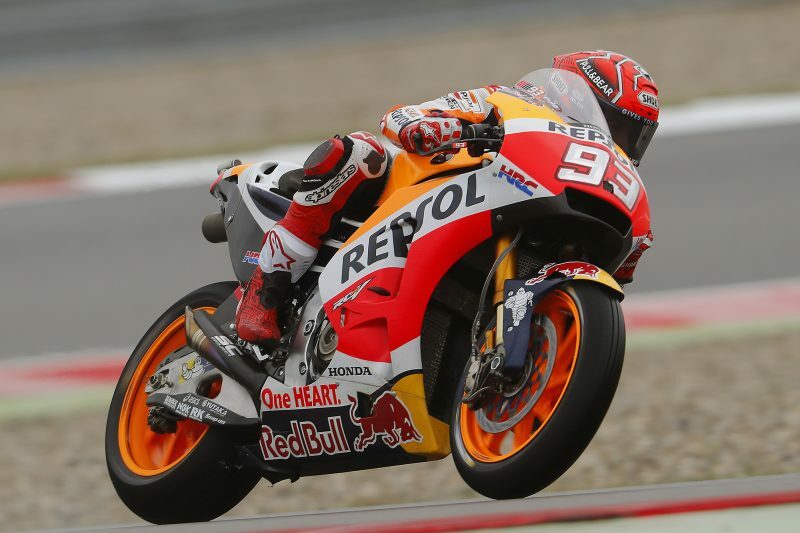 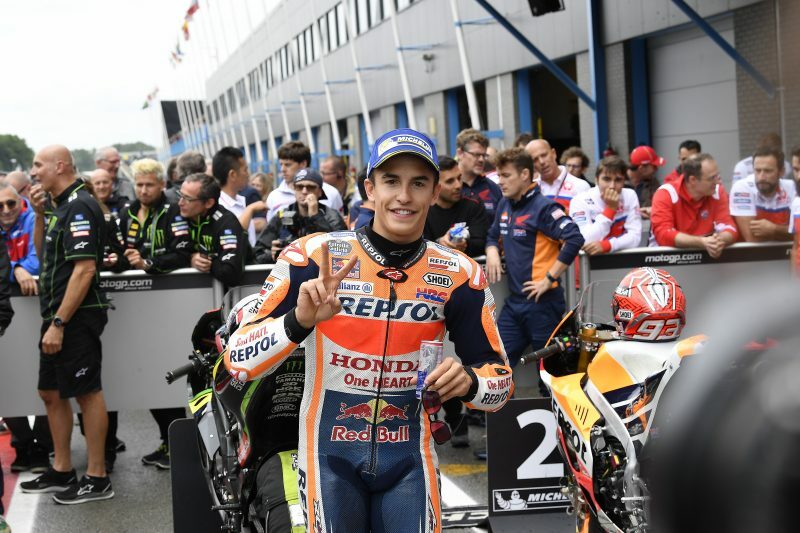 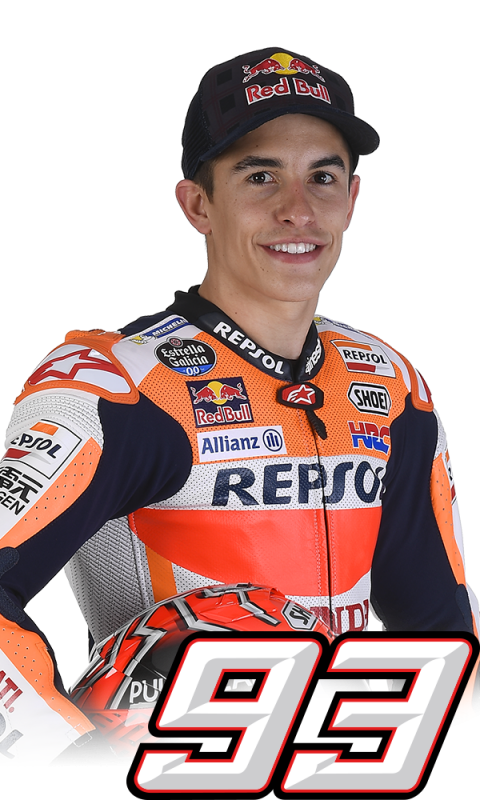 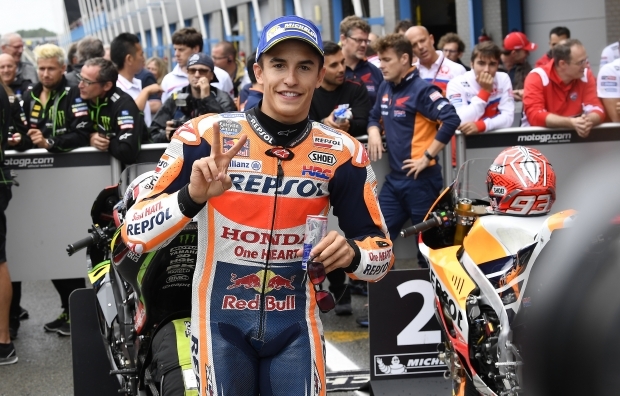 Marc Marquez set the third fastest time in FP3 on a wet track and the seventh fastest in FP4 in mixed conditions before attaining a very important front-row start position during qualifying, on a wet-but-drying surface. 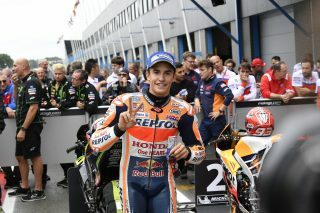 Marc set a series of fastest laps throughout the 15-minute stint and was pushed off provisional pole only by Johann Zarco at the very end, by just 0.065 seconds. 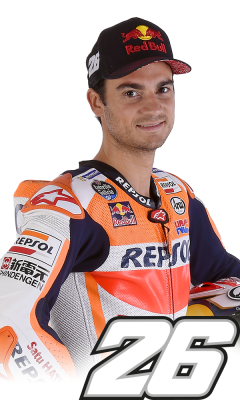 Dani Pedrosa had to settle for a fourth-row start after struggling all day with a lack of grip, finding it hard to put enough heat into the tyres in today’s challenging weather conditions. 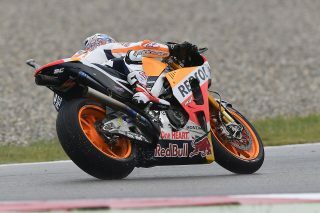 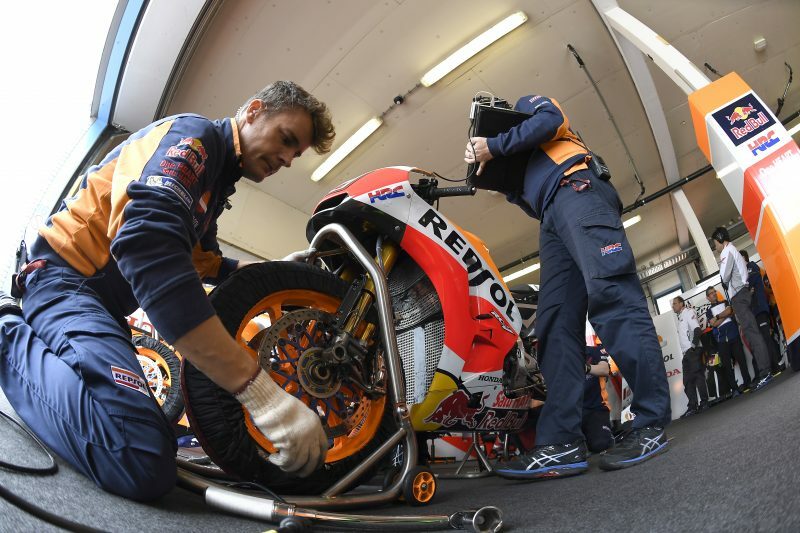 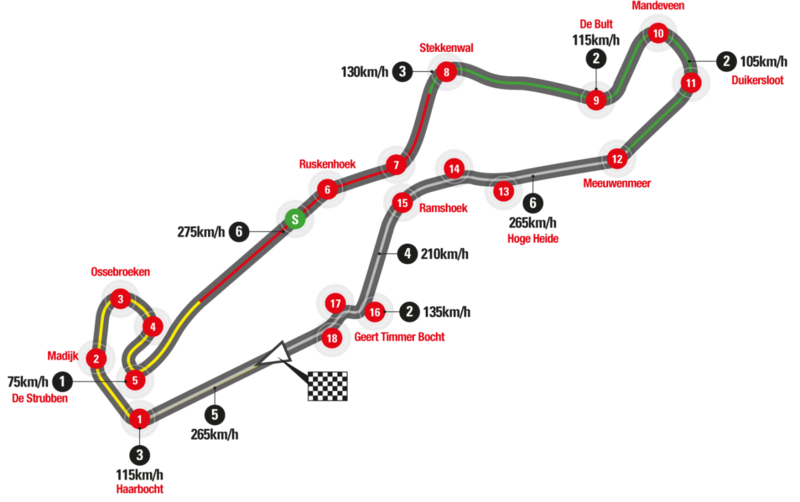 Weather forecasts indicate dry conditions for tomorrow’s MotoGP race, which will get underway at 1 p.m. local time.